Hurry, hurry! Take advantage of this special promotion on e-design services. This special rate is being offered for a limited time only, so don't wait to book your package! 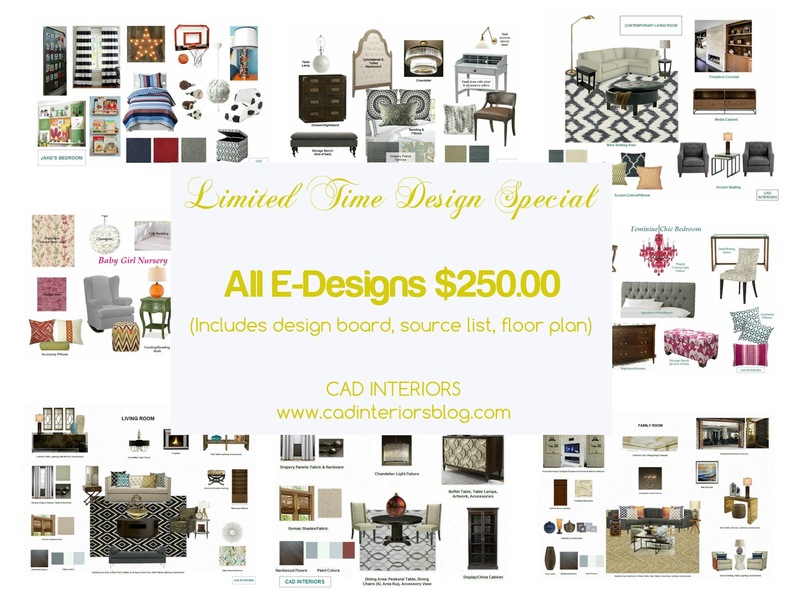 You'll get a completely customized e-design room package - which includes a design board, product source list, to-scale space plan, and written plan description - all for $250.00!!! * Click here for more details about my e-design services, or e-mail me directly at cdamasco20@yahoo.com. *Living/dining or "combination" type rooms may incur an additional fee depending on project scope. The special promo rate only applies to e-design packages purchased during the limited time promotional period (design service is redeemable anytime).